Need a place to capture your secret creations and creepy anatomical drawings? Then your inner evil genius self must have this Penny Dreadful Frankenstein Sketchbook Deluxe Journal - Convention Exclusive from Bif Bang Pow!. Inspired by Dr. Frankenstein’s actual sketchbook from the popular Showtime Penny Dreadful series, this journal features 160 parchment colored pages with the ‘not so mad’ doctor’s sketches watermarked throughout! The prop replica style leather-like sketchbook journal measures about 8-inches tall x 5-inches wide and showcases the initials V.F. (for Victor Frankenstein) embossed on the front cover in gold foil. With only 1,500 pieces available, this individually numbered and limited edition collectible won’t last forever! Not attending San Diego Comic-Con 2015? 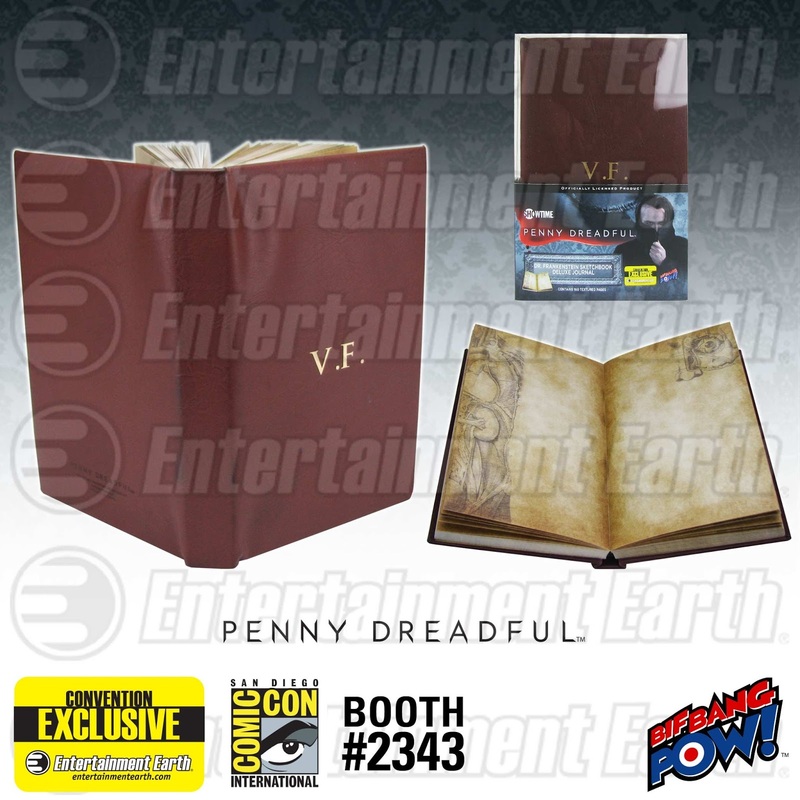 *PRE-ORDER your Penny Dreadful Frankenstein Sketchbook Deluxe Journal - Convention Exclusive at Entertainment Earth now!